The Philippines Meralco Bolts is scheduled for a head-to-head game against the Thailand Mono Vampire at 4:30 P.M. on September 27, 2018 live from the Stadium29 in Nonthaburi, Thailand. 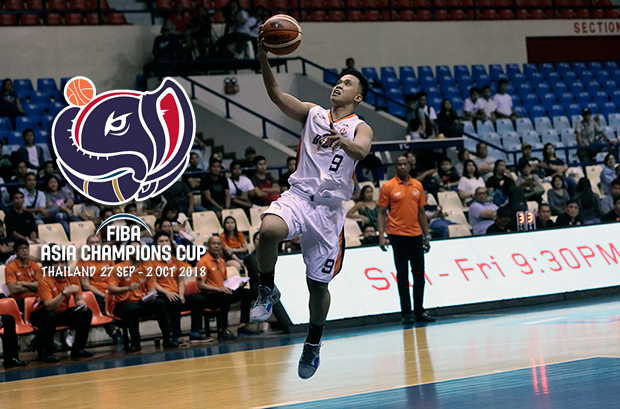 Another basketball action for all the hoops-loving Filipino fans as the Meralco Bolts travelled to Thailand and compete for the 2018 FIBA Asia Champions Cup. The Rain or Shine Elasto Painters carried the Philippine flag back in the 2018 Asian Games and several of its core players joined the nation’s campaign to the 2019 FIBA World Cup Asian Qualifiers. This time, it’ll be time for coach Norman Black and his Meralco squad to snipe the gold medal against the best ball-clubs in Asia. Most Filipino basketball fans are excited with the news when it was first broke out. However, for coach Black it’s seems all challenge even before they take on their plane going to Nonthaburi. Currently in the PBA the Bolts are staring on their three-game losing skid. Probably the main reason for their early losing slide is the absence of Ranidel de Ocampo and Jared Dillenger. Both players are expected that won’t suit with the team in Thailand. Additionally, Fil-Ams Cliff Hodge and Chris Newsome unable to obtain approval from FIBA to play as a local as both players. For sure the Bolts will make an appeal but need to show documents that both Hodge and Newsome have secured a Philippine passport before they turned 16-years-old. Likewise, the initial choice for another import got replaced. Liam McMorrow who is listed as 7’2 will be replaced by Diamond Stone whose last stint was with the Utah Jazz during the 2018 NBA Summer League. Despite of those challenges we’re sure that our nation’s delegates will give their best. Allen Durham, a two-time PBA Best Import is expected to carry the team especially in the offensive end. Philippines also have several players who played with Gilas Pilipinas. They are Amer Baser, Mike Tolomia, and Garvo Lanete.